John Grey, PhD, is a couples coach and author. For over 25 years, he has specialized in conducting intensive marriage retreats, or couples retreats. Having worked with thousands of clients, John is an internationally recognized couples retreat coach and pioneer in the field. 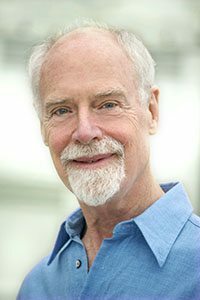 John’s methodology for helping couples is uniquely informed by research in relationship satisfaction, neuroscience, and attachment theory. He regularly trains therapists and counselors in this new, highly effective, scientific-based approach to couples therapy. John started out as a psychologist at Stanford University, after which he went into private practice and began teaching communication workshops and training programs for counselors and helping professionals. In 1990 he started working with couples using an intensive retreat format. Since then, John also wrote three books on relationships and created an interactive relationship self-help system. John received his Doctorate in Psychology in 1975 from Stanford University, where he taught psychology and cofounded Stanford’s preeminent research center CCRMA, hailed in the book This is Your Brain on Music. With major funding by the National Science Foundation, John’s research on how the brain processes music has been published in scientific and professional journals and cited in dozens of university textbooks and thousands of research papers. John’s ground-breaking findings also helped shape the development of digital music technologies we now take for granted, from which Stanford received a historically large royalty income. Major music technology companies were founded on John’s work. His part in the evolution of digital music is described in the new book The Sound of Innovation: Stanford and the Computer Music Revolution. Since 1980, John has been in private practice working with couples in the San Francisco Bay Area. He conducted his first couples retreat in Berkeley in 1990. For the last 20 years he has been leading his couples retreats in beautiful Sonoma County. Over the past few decades, he has presented workshops at venues such as Esalen Institute, University of California Berkeley, Stanford University, and the Scripps Institute. He was also on Dr. John Gray’s — author of the bestselling Men Are from Mars, Women Are from Venus — personal referral list of couples counselors. John has extensive training in cognitive and behavioral psychology, aimed at short term, goal-directed coaching to achieve practical results. He worked with John Grinder (Tony Robbins’ teacher), developer of Neurolinguistic Programming (NLP), and led communication effectiveness training programs for counselors, therapists, and medical and helping professionals. As a recognized NLP Trainer, John was a part of the early development of the personal, professional and relationship coaching fields. For over a decade, John studied personality theory with Helen Palmer — author of The Enneagram in Love and Work — focusing on how to resolve relationship problems and conflicts caused by partners’ differences in personality. Additionally, John is a certified Somatic Experiencing Practitioner (SEP), fully trained in the body-based trauma healing methodology of Peter Levine — author of Waking the Tiger. John offers practical, proven skills to partners to transform their marriages. He gives couples the tools they need to take home and stay on track. As a couples retreat coach, his broad background in neurobiology and attachment theory has enabled him to offer uniquely powerful methods to help couples overcome reactive patterns. He regularly helps couples on the brink of divorce to renew positive connection and build secure relationships that thrive in shared happiness and intimacy. In the arena of attachment theory and neurobiology research as applied to couples therapy, Dr. John Grey provides you with an integration of today’s major clinical approaches. He has advanced training in the attachment-based Emotionally Focused Therapy (EFT) methodology of Sue Johnson — author of Hold Me Tight. He has also been trained in the Neuro-Affective Relational Model (NARM), the work of Larry Heller — author of Healing Developmental Trauma. John also has extensive training and is certified in the Psychobiological Approach to Couple Therapy (PACT), which was founded by Stan Tatkin, PsyD — author of Wired for Love, Your Brain on Love, and Love and War in Intimate Relationships. The PACT methodology draws from more than 30 years of cutting-edge research in the three key areas of neuroscience, attachment theory and human arousal. John is a nationally recognized expert in the Psychobiological Approach to Couple Therapy (PACT). He is a Founding Core Faculty Member of the PACT Institute, at which he also helped develop the primary curriculum and training program for couples therapists and marriage counselors. John has trained marriage and family therapists, social workers, psychologists, psychiatrists, marriage counselors and psychotherapists in the highly effective PACT approach to couples therapy. PACT-trained therapists help couples understand their individual attachment styles and to moment-to-moment shifts in arousal states to build secure-functioning relationships built on compassion, love and understanding. As an strong advocate of self-help, John has written three books on the topic of intimacy and relationship that give people practical tools to maximize shared happiness and minimize reactive patterns and distress. Additionally, John put these cards online in the form of an innovative and entertaining online self-help system, also referred to as the Soulmate Oracle. Over the last two decades this has been featured and freely used by hundreds of thousands of people on such major web portals as iVillage and Astrology.com. John’s work has been cited on national television series like Berman & Berman and in magazines such as Men’s Health.